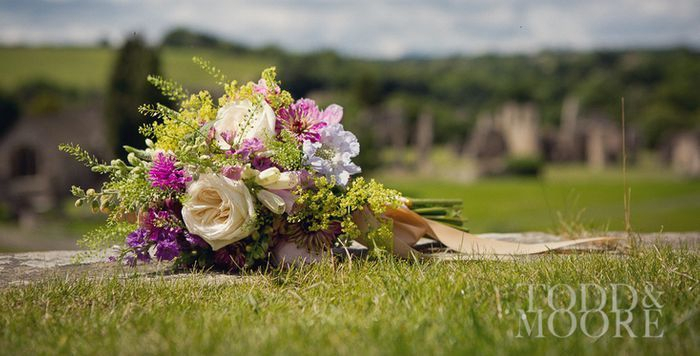 Bespoke Wedding Flowers York North Yorkshire and Harrogate by Fleuradamo. 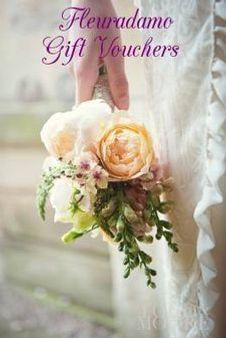 Wedding Flowers for your special day, bouquets, buttonholes, corsages, pedestals and pew ends to wonderful floral arches. 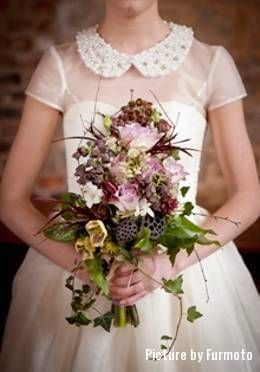 Kathrine Armstrong Bisson designs wedding flowers in York bouquets, buttonholes, corsages, pedestals and pew ends to wonderful floral arches, we ensure your flowers are nothing less than perfection on your wedding day. We are based in York but are available to deliver anywhere in North Yorkshire. "We like to work in harmony with nature and the changing of the seasons with a focus on the senses, colour, smell and texture. Please have a look at the photo gallery for different styles and ideas...and the Pin Board for recent weddings. Also to help you style your wedding day we have a growing selection of vintage props and containers to hire. All we ask is 24 hrs notice. Flowers delivered FREE in York. Looking for that perfect gift ? Treat your friends or loved ones to a gift experience. Fleuradamo Gift Vouchers can be used to have flowers delivered, or contribution to wedding flowers. Vouchers can be of any value, please specify the amount you want to give. We hope you've enjoyed our Newsletters. If you have missed previous ones and would like to see them, please Subscribe above.